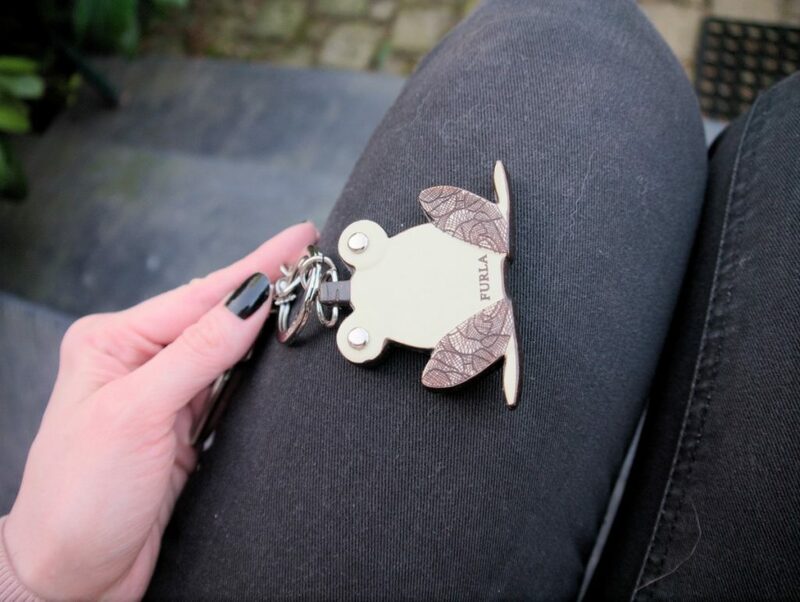 I have an inordinate fondness for cute keyrings. It seems that I just can’t walk past them and thus, I have accumulated a tiny collection of keyrings of various shape and sizes over the years. The funny thing is – I hardly ever use them. The one you’re seeing in this post is one of them. I’ve had it for ages but it’s never been used before. It’s made of bamboo wood with silver metal details and dark brown lace trim, all in the shape of a frog. 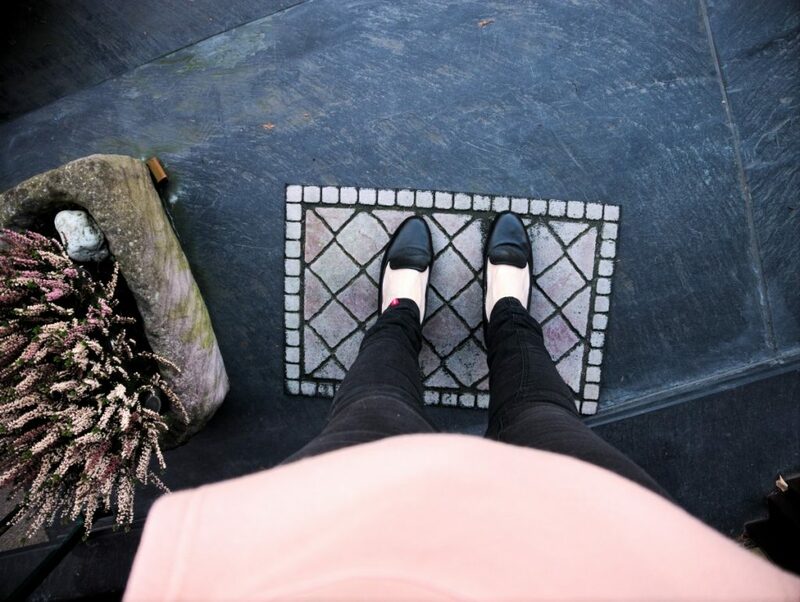 Today’s outfit is also an unusual one for me as well – as you know I usually prefer my own version of dressed-up elegance over sporty casual any time…but there’s something to be said for athleisure. Or isn’t it? 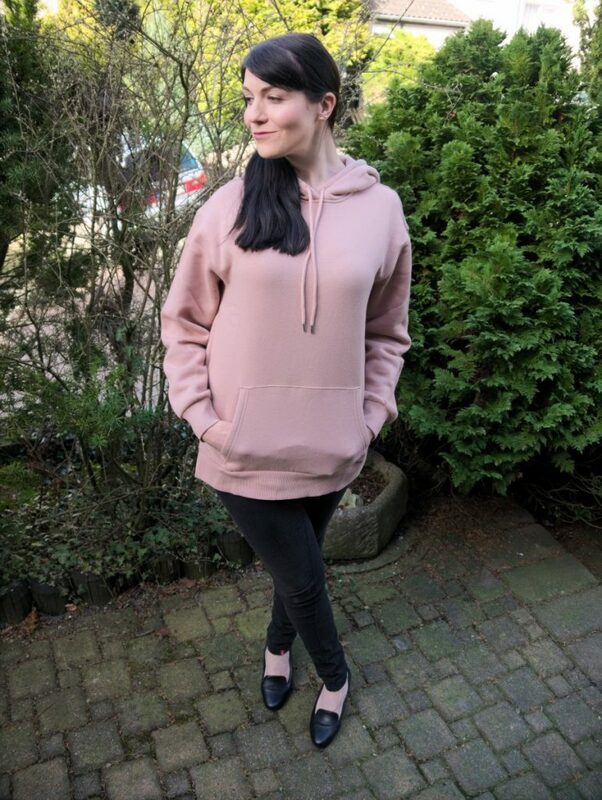 When seeing these pastel coloured hoodies in H&M’s new spring collection I actually went ahead and got one with split sides and a cherry blossom appropriate shade of rose pink. It’s crazy comfy and pretty useful for unsteady spring weather. 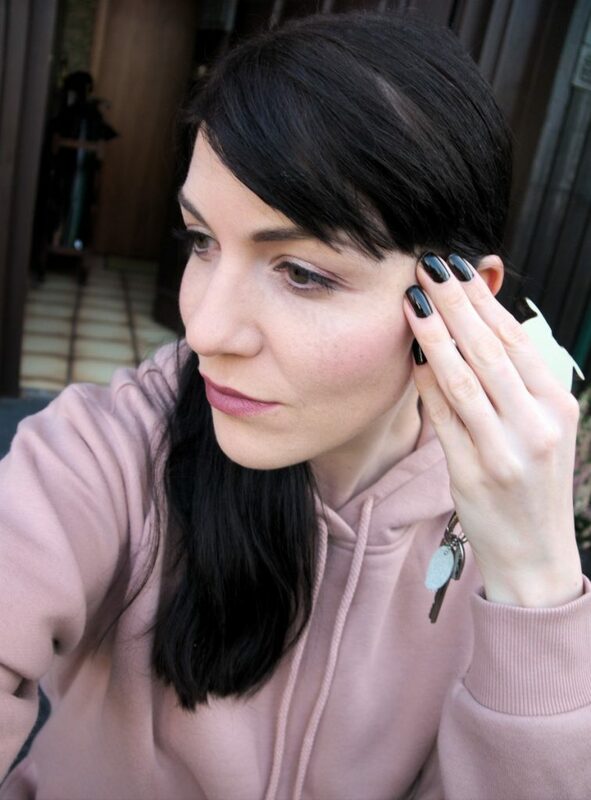 I have had a love/hate relationship with casual wear over the years but for lazy weekends or walks with the dogs sweatshirts and sneakers are actually a rather pragmatic choice which I catch myself resorting to more often than not lately. I hope you’re all having a fabulous weekend and are enjoying the spring weather! Hey, casual finde ich gut, ich fühle mich einfach wohl in solchen Bekleidungsstücken. Hi! 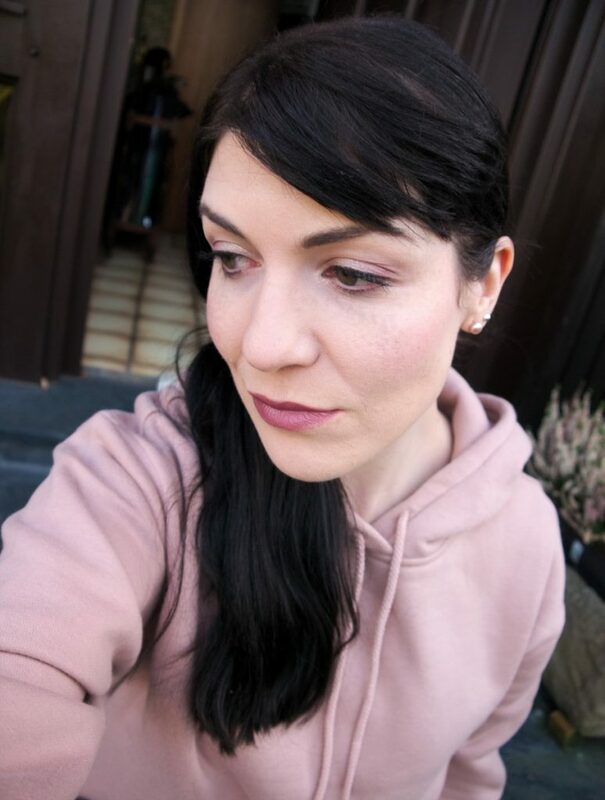 Ein ganz toller easy Look, das rosa steht Dir auch sehr gut! Der Schlüsselanhänger ist ganzzzz entzückend, den würde ich auch sofort haben wollen! Ganz liebe Grüße from Austria, Lena! 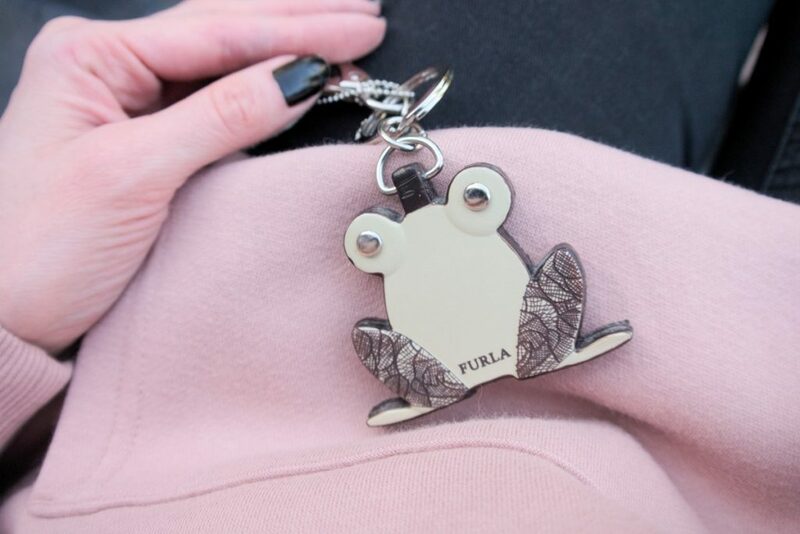 That keyring is so cute. Ich bin ein großer Fan von Athleisure Wear, so als Mutter ist das perfekt, um den Kindern hinterher zu rennen. I love the pastel pink colour of your hoodie! 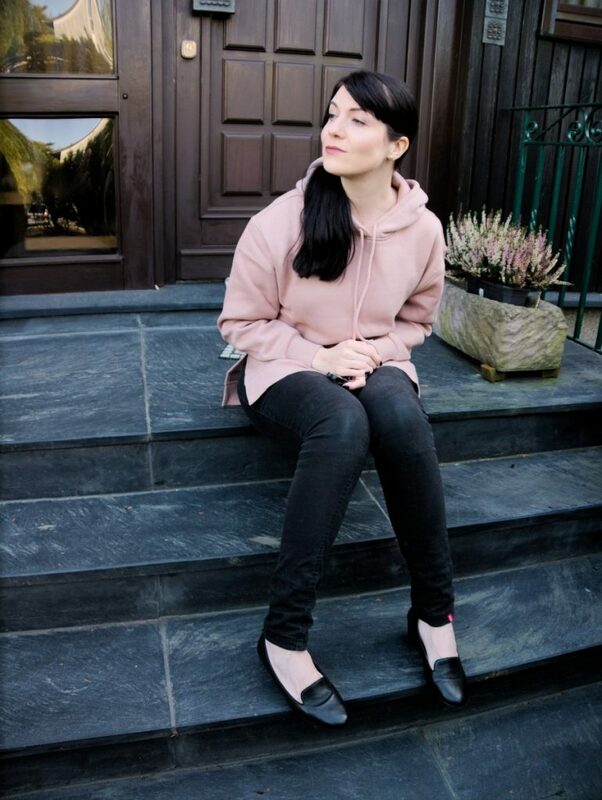 :) I have a few hoodies I keep around as they are perfect for walking the dog in winter! :) I tend not to wear them much otherwise.